All weddings Must be booked 90 days prior to the day-of. You may add people at any time up to the wedding date, if time allows. Any additions, changes / cancellations must be made 30 days in advance prior to the booked service. 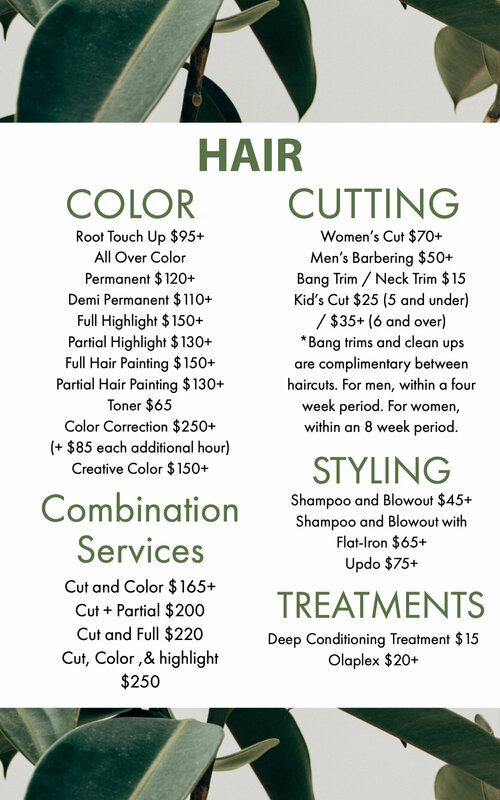 Please Contact Deeda Salon to book your trial and day of appointment. No Deposit is necessary but we will need to put a card on file in the system. I want all of my clients to have the best experience possible. Please arrive on time to your appointment so that you may receive your full service. Rescheduling may be necessary if you are running more than 15 minutes behind. Deeda does require a credit card on file to secure appointment bookings. You may provide this by phone, online, or in person. This is to enforce our cancellation + rescheduling policy. In the case that you must reschedule or cancel your appointment, we ask that you notify us at least 24 hours in advance. If you fail to notify the salon properly, you will be charged 50% of the total service.